The average estimate to remove shrubs is area-specific. The cost of the removal solely depends on the charges of the individual or company that removes the shrub. The size, difficulty of removal, disposal and soil replacement figure into the average cost. Contact your local nursery and find out who removes shrubs in your area. Shrub removal costs depend on size, difficulty of removal and disposal. 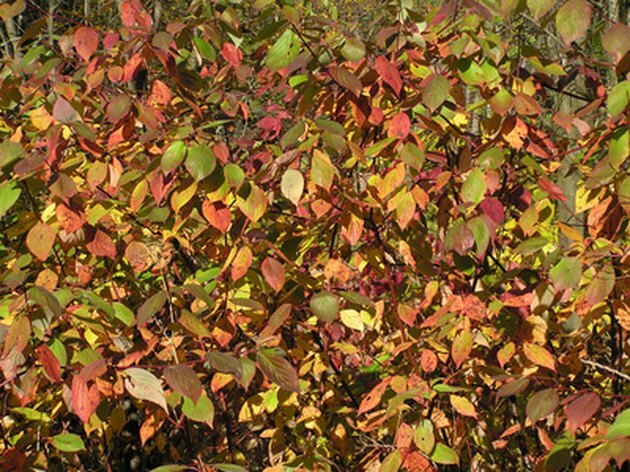 Contractors classify shrubs into four size groups: small, medium, large and very large. As a rule of thumb, small shrubs are 1 to 2 feet tall, medium shrubs are 2 to 4 feet tall, large shrubs are 4 to 6 feet tall and very large shrubs are over 6 feet in height. Contractors who remove shrubs will either charge by the hour or by the size of the shrub. Hourly rate runs between $25 to $75 depending on your location. Cost per small shrub is $15 to $40. Cost per medium shrub is $40 to $75, and cost per large shrub is $75 to $150. Cost per very large shrub is $150 to $300. The cost associated with the difficulty of the shrub removal is figured into the hourly rate or price-per-shrub rate. Shrubs standing by themselves cost less to remove than those in a hedge, flower garden or other grouping. Disposal and soil replacement fees are included in the hourly or price-per-shrub removal rate. Let the contractor know if you are going to dispose of the shrub and/or replace the soil yourself. Some contractors charge less if they do not have to complete these two tasks.